Join Hebro for a seated 3-course dinner in the private dining room of Etcetra Etcetra in Hell’s Kitchen. 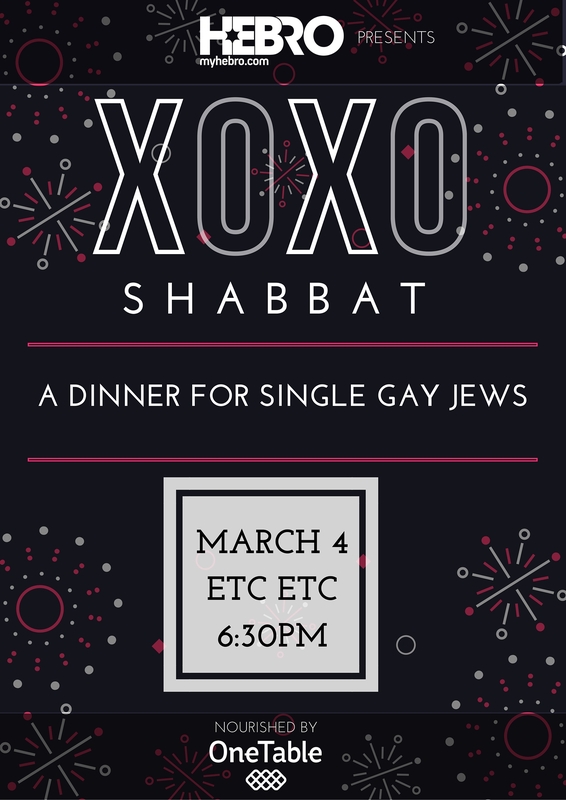 Our maximum capacity for this special Shabbat dinner is 60 guests and we are targeting NYC gay Jewish singles in their 20s & 30s. Each invited participant is encouraged to bring one or two guests. Our launch of this event in September sold out, and we expect this to sell out too. This event will not be broadcasted to our mailing list.